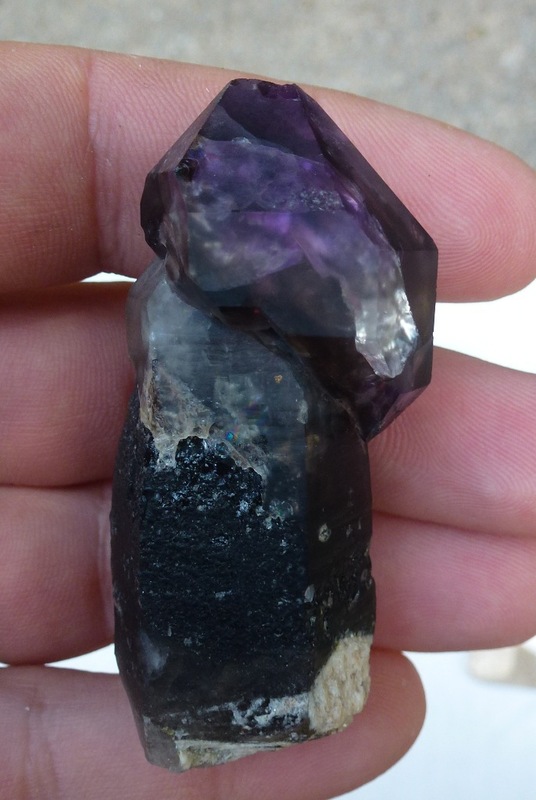 Amethyst-sceptered smoky quartz from the Little Gem Mine. Mined in 2011. 4.6 x 3.2 x 2.6 cm. 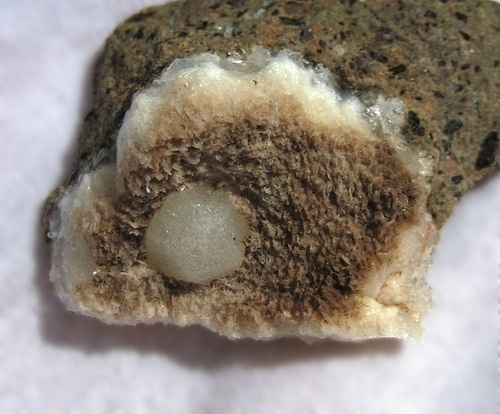 First specimen out of the pegmatite pocket collected by me and my collecting partner in May 2012. 6.3 x 2.8 cm. 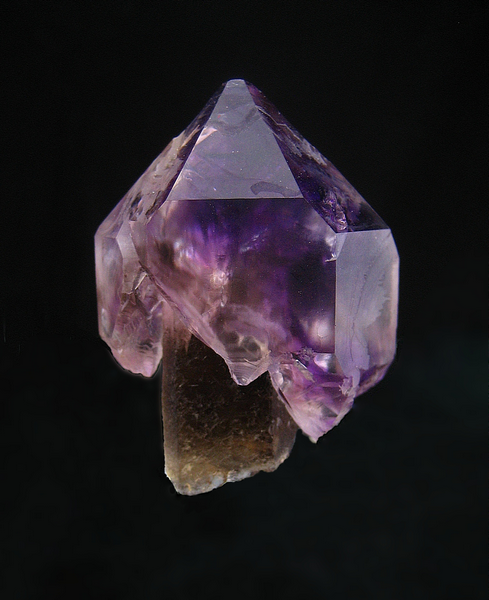 Double-stemmed amethyst-sceptered smoky quartz from a pegmatite on the Boulder Batholith. Collected from a pocket excavated in May 2012, and in the collection my collecting partner. 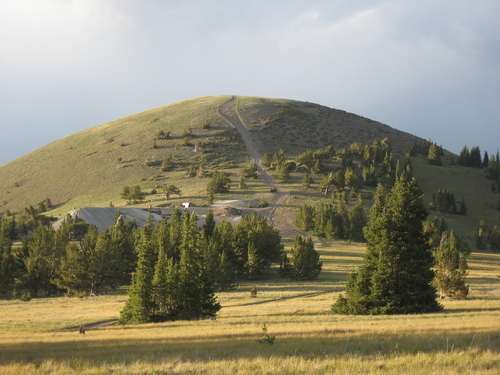 View of Shawmut Mine just below the top of Round Mountain. Tailings and mine structure of the Shawmut Mine can be seen just below the peak of Round Mountain. 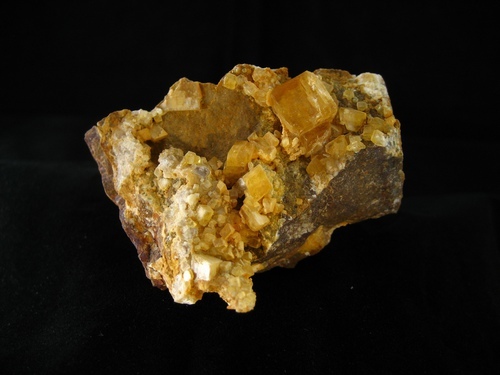 Golden Barite on matrix. Self-collected on 8/31/2008. 6.3 x 4.7 x 4.3 cm. 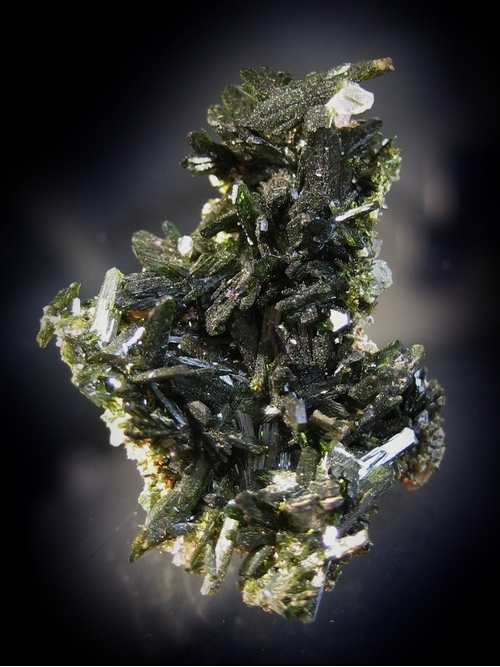 Fantastic olivenite from the Copper Stope with beautiful, glassy crystals to 8.5mm. Overall dimensions 2.9 x 2.1cm. Collected in 2008 by Jeff Hill. 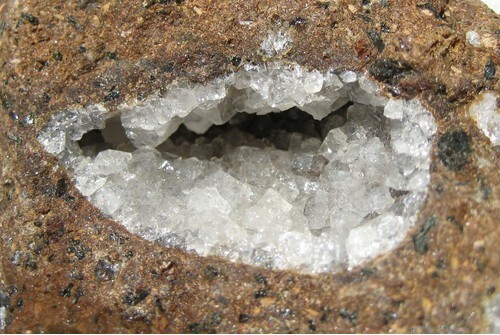 Three-centimeter basalt vug lined with colorless cabazite-Ca crystals to 3mm. Collected at the southeast quarry on North Table Mountain, Golden, CO, on August 14, 2009. 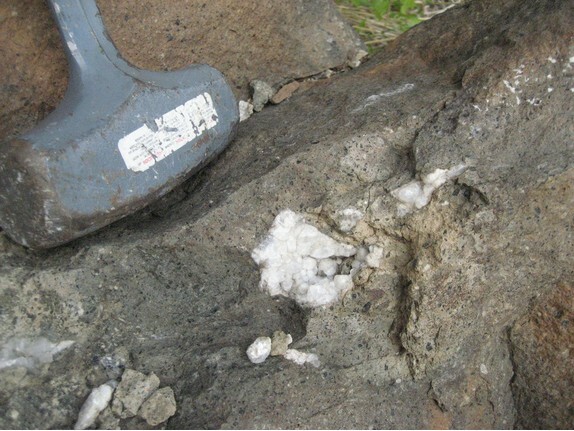 Vug lined with milky white crystals of analcime in a basalt matrix (three-pound sledge hammer for scale). This was the first vug I encountered on my way into the quarry (with many better ones to follow), but the only in-situ picture I got before my camera battery died. Sharp 1.1cm analcime with an interesting incomplete crystal form on tan thomsonite-Ca and basalt matrix. Green color on the thomsonite is staining from lichens which I was unable to fully remove. 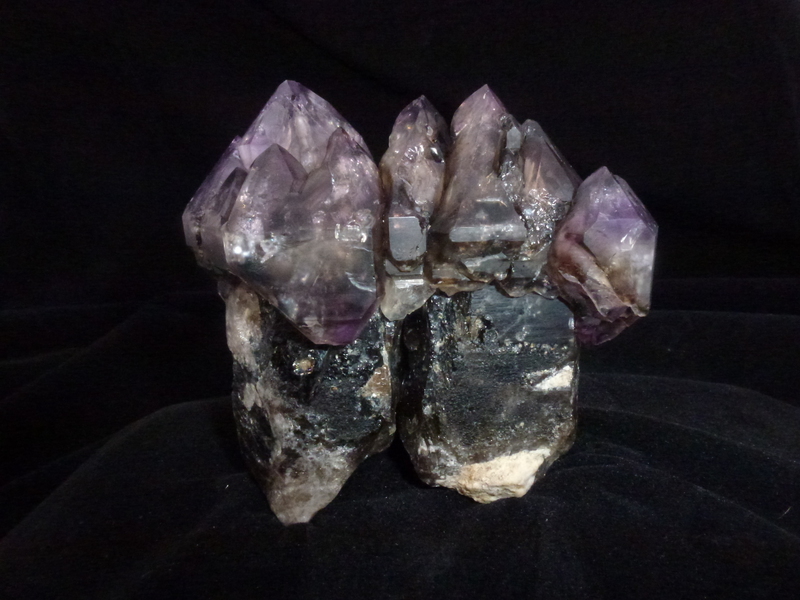 Collected from the southeast quarry on North Table Mountain, Golden, CO, on August 14, 2009. 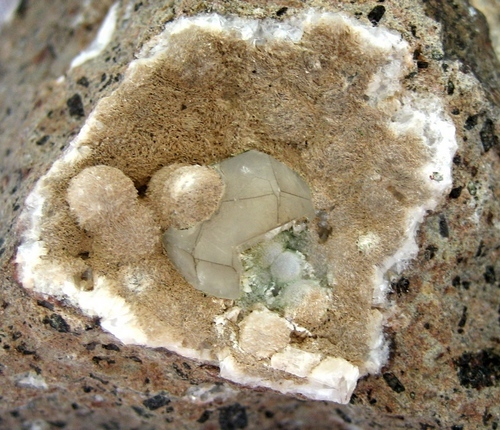 Single 9mm white analcime crystal with thomsonite-Ca on basalt matrix. Collected at the southeast quarry on North Table Mountain in Golden, CO, on August 14, 2008.